Love your heart! 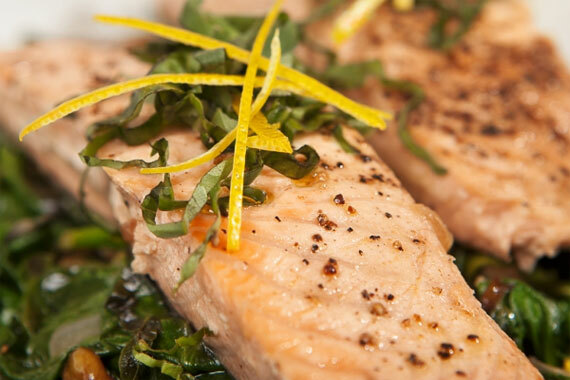 This heart-healthy recipe not only shows how much you love your Valentine, but that you care about his or her heart, literally and symbolically. It’s a classic for a reason! 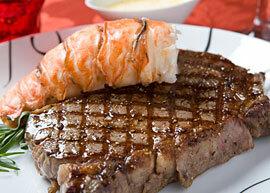 Prepare a delicious surf and turf dinner for your Valentine without breaking the bank. You can feel good about purchasing our wild-caught lobster tails, rated Green by the Fishwise Sustainability program. $8.99 ea., save $11 ea. 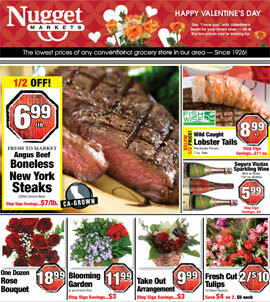 Discover even more ways to save on Valentine’s treats for your loved ones. Shopping for a gluten-free diet can be challenging. Baking for your gluten-free Valentine can seem even more daunting. 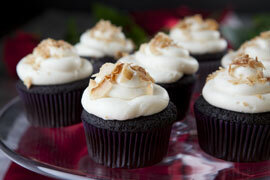 Try this incredibly tasty Chocolate Cupcake recipe. We couldn’t tell it was gluten free! This scrub is delicious on so many levels! 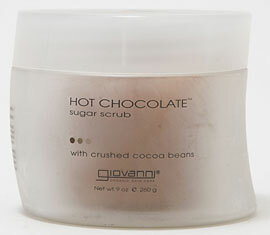 It smells like brownies, exfoliates the skin with crushed cocoa seeds and softens with sugar. The fact that it actually heats up as you massage it into your skin just makes it that much more crave-worthy! Say, “I love you” with these tasty bars—made with high-quality Belgian chocolate and the finest all-natural ingredients. Red Velvet Chocolate Tea? You bet, and it tastes just like the real thing! Indulge with this healthy, caffeine-free infusion. With many other flavors like Banana Chocolate, Strawberry Chocolate, Coconut Chocolate, and Peppermint Chocolate, there’s something for every chocolate lover. Love on the chocolate lover in your life with our heart-shaped Chocolate Overflow cake, featuring four different chocolates: chocolate cake, fudge filling, chocolate buttercream icing and chocolate ganache. Order this one special for your sweetie (with 24-hours notice, please.). 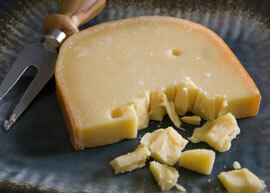 Aged Gouda pairs amazingly well with some of our Valentine favorites: chocolate and Port. This classic aged Gouda has a wonderful melt-in-your-mouth rich taste: buttery, slightly sweet and intense, with walnut and caramel overtones. “Flavor crystals” occur naturally and add exquisite texture and taste. Whether you’re flying solo or celebrating the day of love with a significant other, these two wines make for a perfect companion. This wine sold so well that we could only find it in the half bottle. This is a great chance to taste a quality Oregon Pinot for a small price. 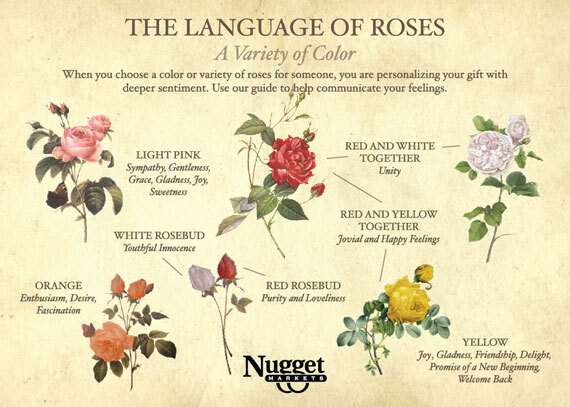 When you choose a color or variety of roses for someone, you are personalizing your gift with deeper sentiment. Use our guide to help you communicate your feelings. Sacramento Beer Week is a celebration of our area’s rich Sacramento beer culture. As a major sponsor of Beer Week, we’re again participating with a packed schedule of wonderful beer tasting events at our stores on February 24, March 1 and March 2. Our tastings are only $3 per flight and include a voucher for $3 off a future beer purchase of $9.99 or more when you take our quick survey. For more information on all Beer Week festivities throughout Sacramento, visit sacramentobeerweek.com. Cheers! Prices valid 2/8/2012 - 2/14/2012.